Miòl is the new wine Bortolomiol. It embodies the perfect harmony of the local land and the way of life. It proudly represents a tradition which brings together the finest ingredients for a finished product of unrivalled quality. the rich, sun-kissed lands of Treviso comes a truly Italian lifestyle. This is the most popular version of Prosecco, perfect between meals with light snacks and among friends. "Wine Spectator" has rated the wine "Bortolomiol 'Miol' Prosecco Treviso Extra Dry, Veneto, Italy" on 31.10.2014 with 87 of 100 points. 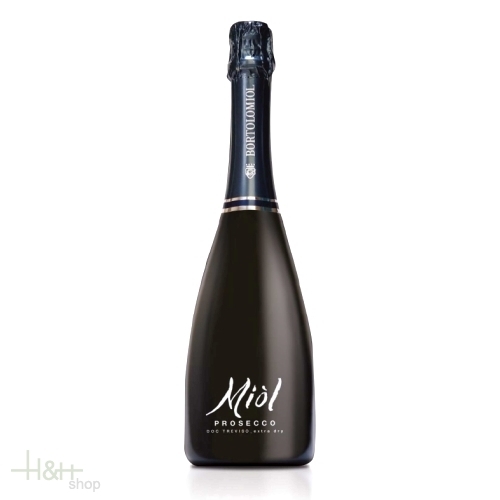 Fantastic Prosecco - our favourite and will be ordering again when we have run out! Franciacorta D.O.C.G. Brut 75 cl. - Antica Fratta 26,60 EUR / 35,47 €/lt.